If there's anything you want to accomplish in life, setting attainable goals is the key to getting there. As much fun as setting goals can be, it's something that should be taken very serious if you're determined to make them happen and get the results you want. You may have heard that goals are a dream with a deadline, but it's so much more than that. And if you're in pursuit of your purpose and fulfilling it, then you've got to make your goals attainable so you can serve your purpose, achieve success, and make an impact in life. Attainable goals are SMART. 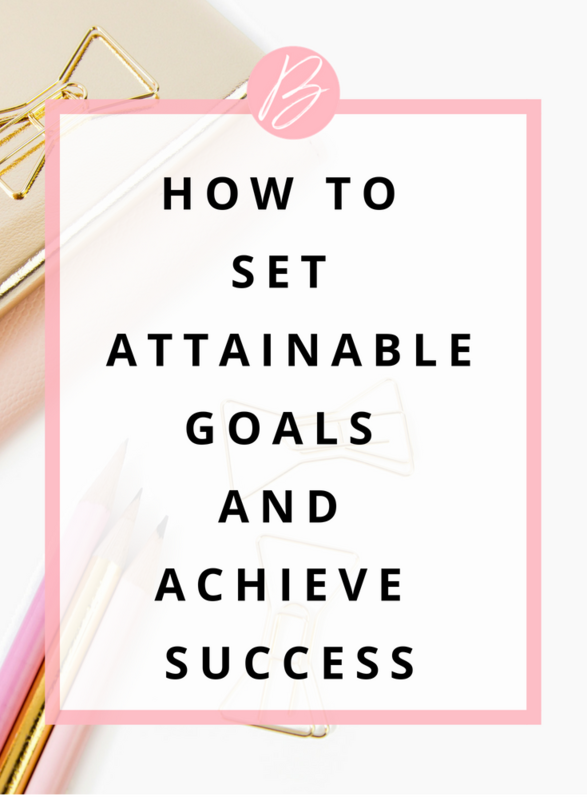 Here is the breakdown of the SMART method to setting attainable goals and achieving success. Decide exactly what it is you want to do, where you want to go, or what you want to be. Don't sell yourself short here or doubt your ability. In order to track your goals, you have to be able to measure your progress. This will keep you on track and help you stay motivated. Your action plan will determine exactly how you will reach that specific goal. This is where you have to give your goals a 'gut check.' You want to challenge yourself to go a bit beyond your comfort zone so that you can reach the goal, but be careful not to bring on unnecessary frustration. Take your available time, capacity, capability, and other commitments into consideration when setting your goal. Every goal needs a date. Set a deadline for your goal that you know you will be able to meet. Remember the task expands with time, so don't overshoot the amount of time needed to get it done. You more than likely can accomplish in less time if you commit to the deadline and remain consistent. Time Bound - Write a book in one year. In the beginning, setting goals can really get your momentum going and motivate you start working on your tasks each day, but it's important to stay on track and not lose focus as time progresses. Review your big goals and weekly to-do's each to evaluate how you did, what you did, and did it work. You want to ask yourself these questions because sometimes goals need tweaking. As you get closer to reaching your goal, you learn things along the way. Take what you've learned and see how you can become more efficient or work smarter toward reaching your goals. Has the SMART method helped you accomplish any goals lately? Which step in the SMART method do you find to be the most challenging? Tell me in the comments below.